Measures 114.9 x 67 x 38.4mm and weighing 357g, the E-PL7’s small frame is a mix of metal and plastic, with brushed metal and leather effect to convey a sense of quality. An ergonomic grip, consisting of a raised, contoured section of rubber that provides a perfect resting place for small fingers and a 1.5cm-long thumb rest on the rear, make the E-PL7 a reasonably comfortable camera to hold, although people with medium to large-sized hands may find the operating controls slightly cramped. 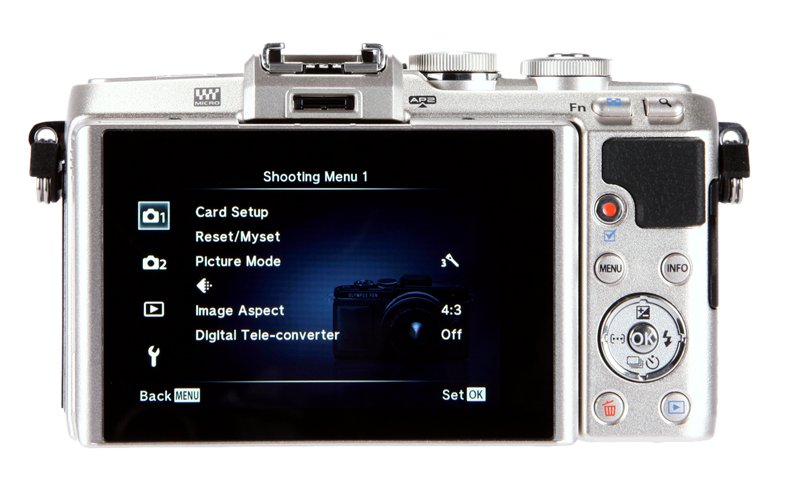 The rear of the camera is also home to dedicated menu, movie record, delete and playback buttons, as well as a four-way selector with an OK/select button in the centre. All of these rear controls are designed for nimble fingers. 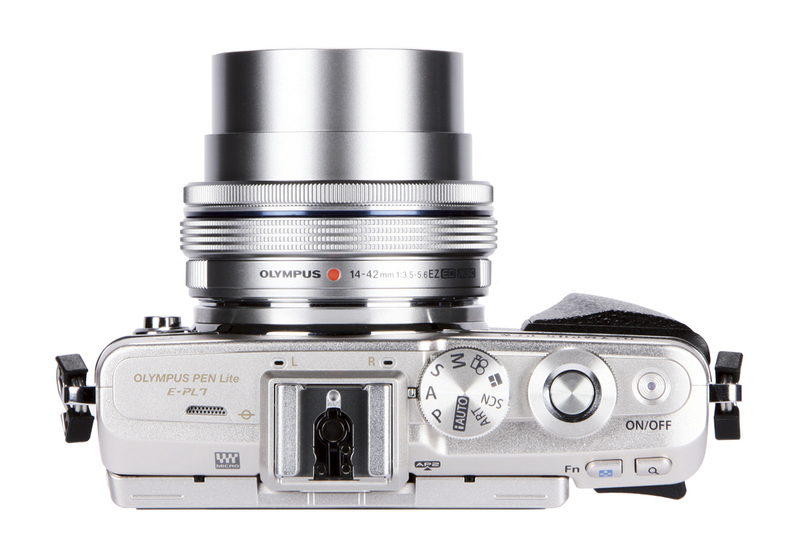 The sprung mechanism of the camera’s LCD screen comes across as disjointed and overengineered, with Olympus having clearly spent a large amount of time trying to figure out how best to enable people to take selfies with a camera that’s overqualified for the task. The screen slips firmly into position when manoeuvred into one of its three shooting angles, but its design ultimately feels contrived and unnecessary. During my time with the camera, I took it to events and gave it to some attendees to take selfies and not once did they attempt to use the tilting screen, even when I showed them how it worked – they flipped it back in and didn’t seem to want to use it. When taking pictures with the E-PL7 in a typical shooting position, I noticed the absence of a viewfinder at first, but I got use to it eventually and found the ability to compose images at a low angle the most useful application of its tilting screen. The E-PL7 isn’t as easy to use when shooting in manual as I’d hoped, as it only has one control dial and the touchscreen isn’t activated for navigation. I was therefore restricted to using its miniscule button controls, often leading to me pressing the wrong commands when trying to make quick adjustments. For all of its ‘elegant design’, I feel like the best things about the E-PL7 are those elements that Olympus isn’t talking about in its marketing materials – such as its low-angle shooting capabilities, touch AF and shutter release, and its mostly solid metal frame, which feels like it could take a bashing, so long as the screen hasn’t been flipped out. Combined with its portable size, the E-PL7 should be a great pocket companion for travelling and everyday shooting.